We knew in advance that our attempt to stir it up among the Italian publishing confraternity was going to be a hard struggle. 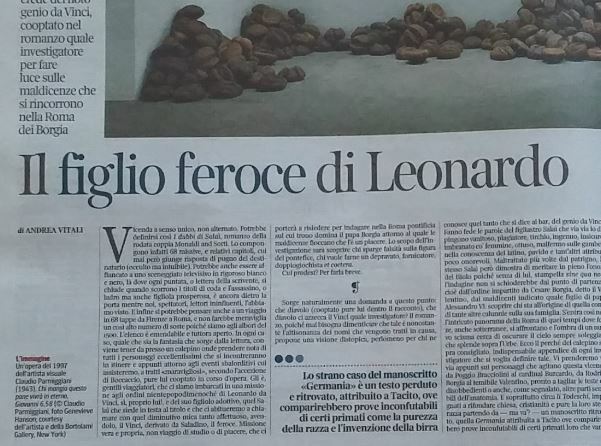 On the first day of the Fair, 4 October, our friends Simone and Ettore went to the sector dedicated to Italy. There they distributed the brochure about the documentary film (a real beauty! ), the discussion on Imprimatur and the story of the Italian boycott (See photos of the Discussion). 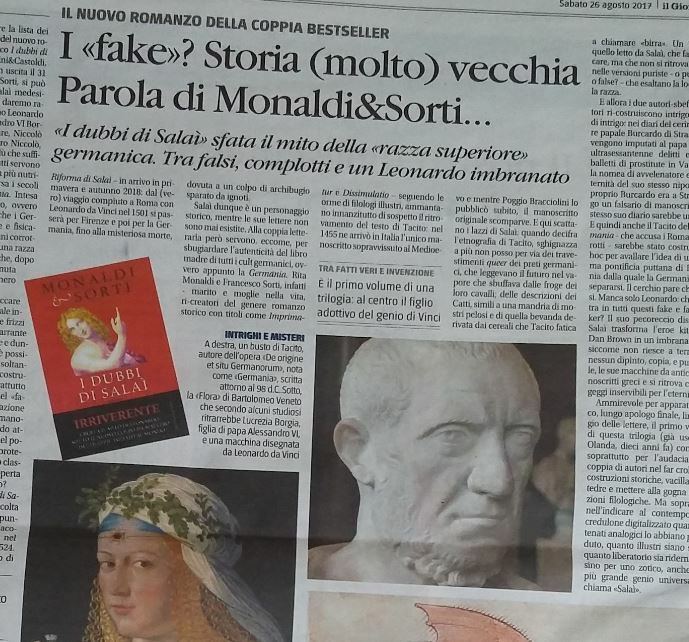 To our friends’ extreme surprise, not one single publisher had so much as heard of Monaldi & Sorti or Imprimatur, their one novel published in Italian. We were taken aback to find the people on the publishers’ stands declaring their total ignorance of two writers who are both well-known and well-liked abroad and whose books – of which four have so far been published – are top best-sellers in several countries. However, let’s get back to our own story. On the next day, 5 October, our group from the Fan Club – there were four of us – all wearing t-shirts bearing the bilingual slogan “Liberate Imprimatur – Free Imprimatur” (see photos) attended the projection of the video and the subsequent discussion. There, we realised that, despite the polite interest expressed by employees of the Italian publishing houses, NOT ONE Italian had come (or if any had, they’d kept the lowest of profiles…). But what we really wanted was to talk to someone from Mondadori. We wanted to know what had made them decide not to reprint Imprimatur, despite having acquired the rights to the novel for the coming twenty years. (Although we’re no specialists, we imagined that the initial reaction to the book was bound be one of real interest as well as a certain commercial success). We did manage to meet a lady from their press office. Diplomacy was not this person’s strong point… After a show of surprise, when she told us she’d never heard of all this, she began to criticise Monaldi & Sorti “who go around talking of this so-called boycott, which simply does not exist”. We in turn were surprised that, after stating she knew nothing about the facts, she did turn out to know of both the documentary and the discussion. She only quoted the wrong date and time. We tried not to get bogged down in sterile arguments about what might have happened. What we wanted was to get as close as we could to the real reasons for what had taken place and above all to hear Mondadori’s official version. Without wishing to dwell on this last comment, we could only conclude that this person had contradicted herself all along the line. After a while, another person from Mondadori entered the conversation, surely someone in a position of responsibility and better placed than the press officer to answer our questions. So we put them to him, giving the same reasons for our need to know. The official reason which he gave turned out to be Imprimatur’s poor sales figures. 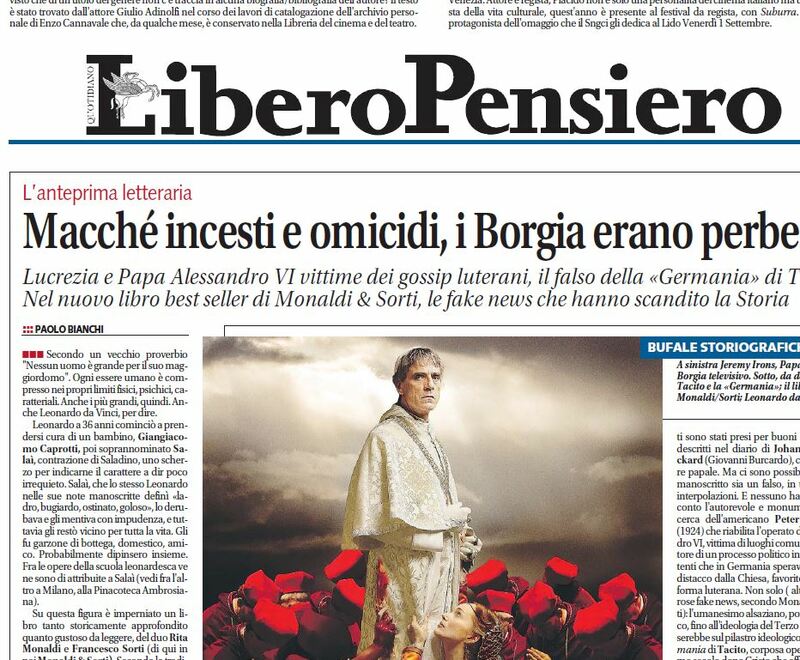 Mondadori had, he said, behaved as any other publisher would have done under the circumstances. According to him, Imprimatur had sold only 3,400 copies in Oscar paperbacks, which was too low a figure for the firm to reprint the novel. 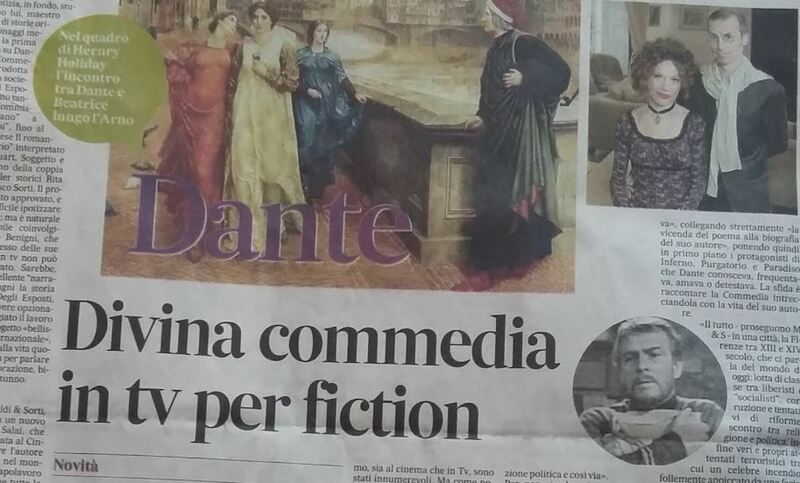 In other words, despite our legitimate interest, there are too few of us in Italy who want to read this novel. There was not sufficient demand for Mondadori to justify a reprint. How come, we asked, that novels are still listed in the catalogues and reprinted year after year, despite modest sales, while Imprimatur was removed from the catalogue at precisely the time of its publication in “Oscar Bestseller” (!) paperback? (As though the intention was to hide it). No official reply was forthcoming. Whatever the real reasons may have been, out of 22 editions printed in 53 countries (and the same goes for the later novels), only in Italy was the book withdrawn on the grounds of poor sales.